A jury's decision to acquit a Mexican man in the 2015 slaying of Kate Steinle on a San Francisco pier has reignited the furor of critics who in the two years since have pointed to Steinle's death as evidence of the need for tougher immigration policies. President Donald Trump on Friday called the verdict "a travesty of justice" and renewed his push for a wall on the border with Mexico. U.S. Attorney General Jeff Sessions demanded cities like San Francisco scrap immigration policies that limit cooperation with federal deportation efforts. Steinle, 32, a medical device saleswoman, was shot while walking on a popular waterfront area in the city on the evening of July 1, 2015 with her father and a family friend who were visiting. Her father, Jim Steinle, testified that his daughter collapsed in his arms, saying, "Help me dad." He rolled her on her side and discovered a bullet hole. She was later declared dead at a hospital. Jose Ines Garcia Zarate was arrested a short time later. He told police he found a gun on the pier wrapped in cloth, and that it fired accidentally when he picked it up. The gun was the service weapon of a U.S. Bureau of Land Management ranger, who reported it stolen from his car in late June. The shooting immediately sparked criticism of San Francisco's policy of limiting cooperation with federal immigration authorities and led to calls for stronger enforcement of federal immigration laws. Garcia Zarate had been deported five times and was wanted for a sixth deportation when Steinle was shot. Before the shooting, he had finished a federal prison sentence for illegal re-entry to the United States and had been transferred to San Francisco's jail in March 2015 to face a 20-year-old charge for selling marijuana. The sheriff's department released him a few days after prosecutors dropped the marijuana charge, despite a request from federal officials to detain him for deportation. The story dominated conservative talk radio, but also had Democrats, including Hillary Clinton, saying San Francisco was wrong to let Garcia Zarate go free. As a presidential candidate, Donald Trump repeatedly referenced the Steinle shooting and vowed to crack down on sanctuary cities. His administration has moved to restrict funding from such cities, but judges have blocked those attempts. Supporters of sanctuary policies say they improve public safety by allowing immigrants to cooperate with police without fear. They also say detaining people without a warrant just so immigration officials can pick them up is unconstitutional. Garcia Zarate was charged with murder, and throughout most of the trial San Francisco Deputy District Attorney Diana Garcia portrayed the defendant as someone who willfully disregarded the safety of others when he fired the gun. But she spoke more strongly in her closing argument, saying he had come to the pier with a gun and a desire to hurt someone, and should be convicted of first-degree murder. His attorneys argued that he found a gun wrapped in cloth under a chair on the pier, and it fired accidentally when he picked it up. Their forensic experts testified that the bullet that killed Steinle ricocheted from 15 feet away, something he could not have done intentionally. Jurors found Garcia Zarate guilty only of being a felon in possession of a firearm, which carries a maximum sentence of three years in jail. It's likely Garcia Zarate will have served long enough behind bars considering his time in custody. But that might not be the end of his legal troubles. The Justice Department is considering bringing federal charges against him, and at its request, a judge in Texas on Friday unsealed an arrest warrant for Garcia Zarate that was issued days after Steinle's shooting. 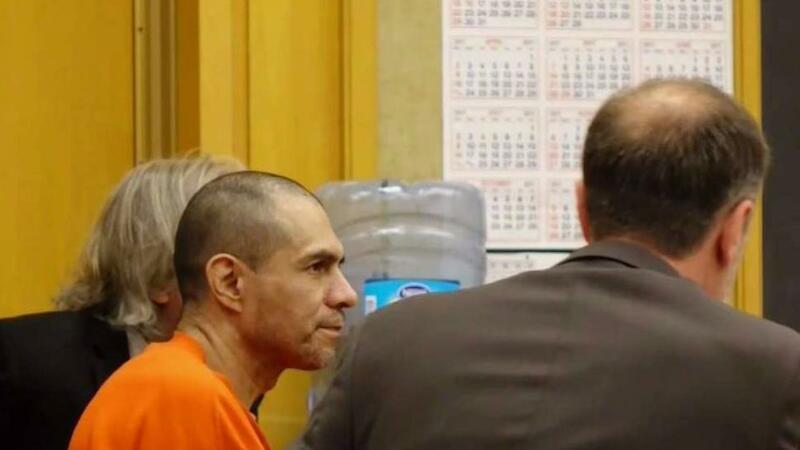 Federal officials say they believe the Steinle shooting violated the terms of Garcia Zarate's supervised release following his conviction for illegal re-entry to the U.S. The Steinle family, separately, has also filed a lawsuit that names Garcia Zarate and alleges the U.S. Bureau of Land Management ranger negligently left the gun used in the slaying loaded inside a vehicle in San Francisco before it was stolen.